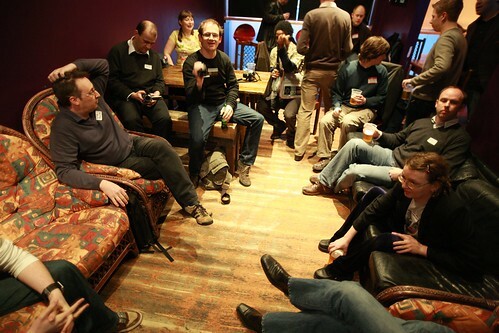 A meetup of people who blog in Birmingham took place last night. It went rather well I thought. I’m keeping a roundup running on my blog, collective memory style, of links to stuff that’s come out of it including a video of the “unpanel” discussion. Many cool ideas and plans came out of the evening (the big theme was probably coworking spaces) and now we’ve got and solid and enthusiastic core community there’ll be many more of these to come.